Exclusive! A-line woven cotton denim skirt with elastic waist at back for comfort, with front V-shaped yoke and side seam zipper. Machine wash. Imported. Misses, approx. 34"l.
I Hope Paragon Will Order More! 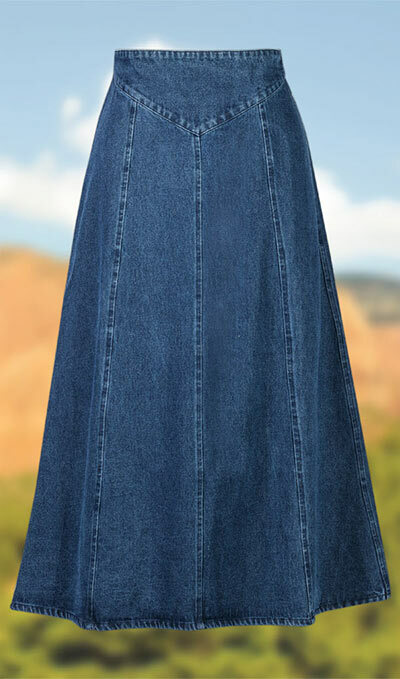 I enjoy a well-made, attractive, long denim skirt. This is the best skirt of its kind I have ever owned. I am an overweight person, and this garment is well designed, tasteful and good looking. It is comfortable, heavy-weight, quality denim. I am thrilled with it! These days all of these qualities are a rarity. I am sad that all sizes are sold out. I hope this will be available again. I would buy more of them! Paragon...? 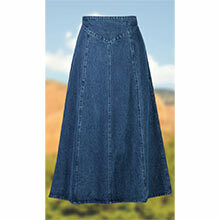 Nice "real" denim skirt - hard to find a 100% cotton denim skirt that is modest. I'm 5'6" 130# purchased a medium. It fits okay with some slack in the waist and hips. Length hits below the calf. Wasn't offered in a small, although I think a small would have fit better. But I love it just the same. Washes and dries well. Wow, after searching second hand stores and the web I finally found this skirt. 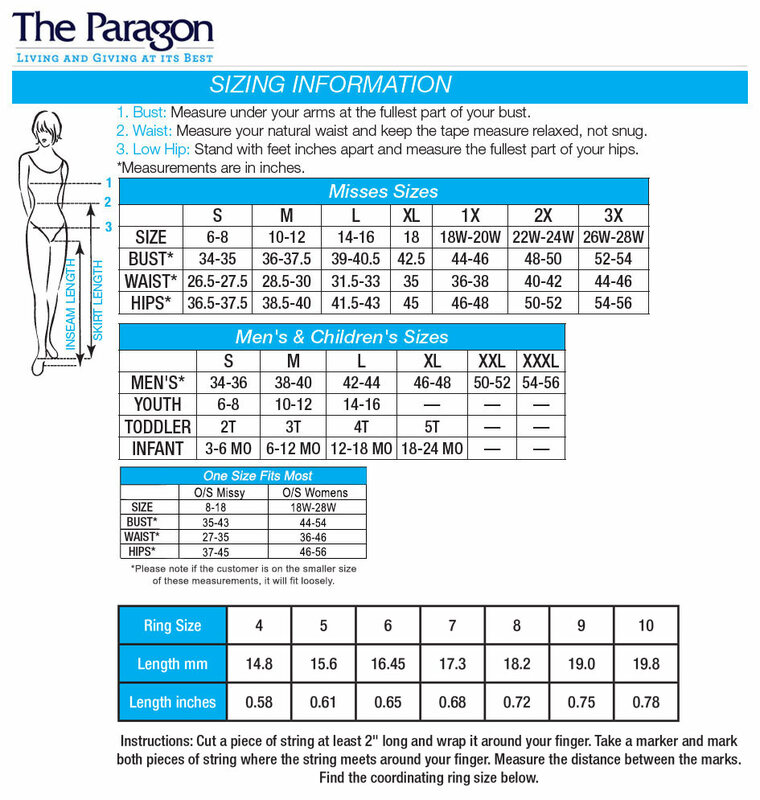 Because my size has changed some I carefully measured my hips and waist and ordered accordingly. Adore this skirt- a little elastic in back for give and a side zipper for a non bulging but secure fit- wish I could afford to order more! I haven't had a denim skirt this well made since I was in my 20s.A skirt of this quality should be long enough to cover that snazzy pair of boots. This is denim, not that flimsy wrinkly blended with polyester stuff you can buy at cheap bargain stores. I have washed it, and hang dried it--I did not have to iron it.It's perfect. What happened to the zipper on the side? ?